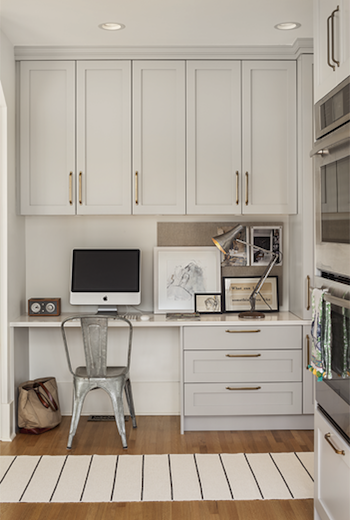 I recently came across this portfolio image on pinterest from Vancouver-based designer Sophie Burke and couldn't help but follow the link back to her website. 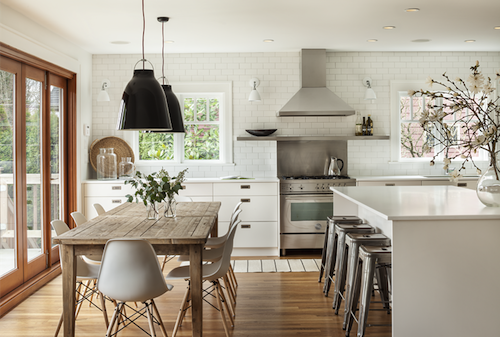 I love her clean and simple design aesthetic, mixing classic and contemporary style effortlessly. 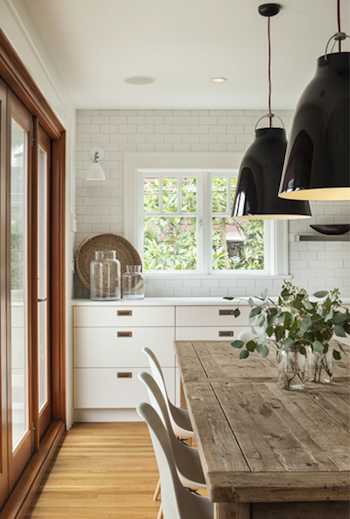 I always love the combination of farmhouse tables with the mid-cenury modern Eames Molded Plastic Chairs. 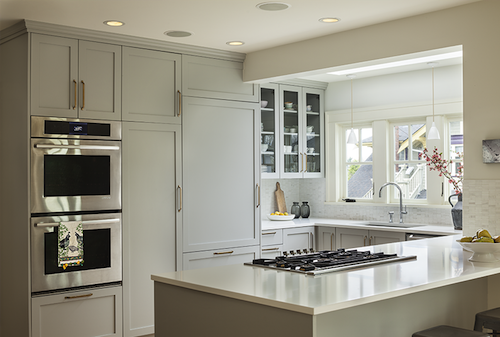 This color combination, green-gray cabinets, brass and Carrara is what it's all about. 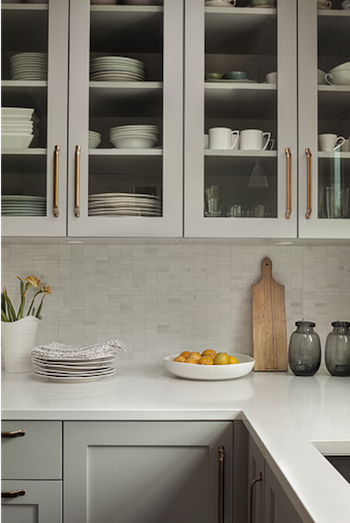 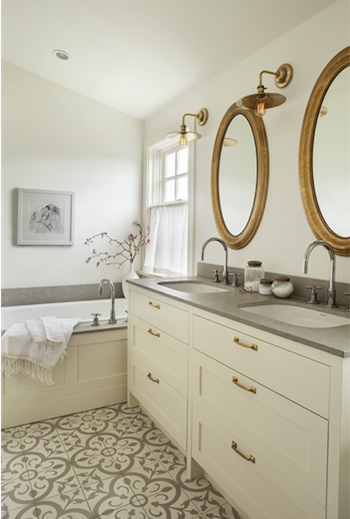 The simple shaker cabinets are enlivened by a more traditional brass pull. 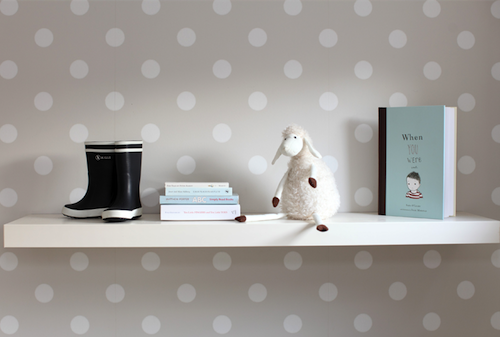 How adorable is this neutral nursery? 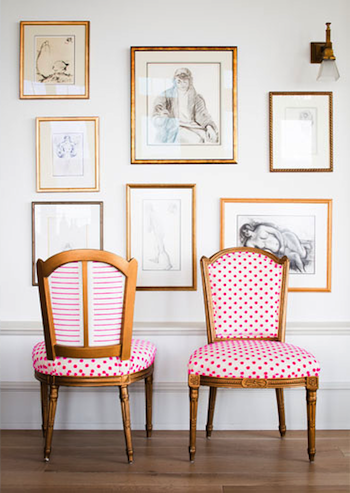 I'm loving the polka-dot wallpaper!